Why settle for the same old boring laces, when you can stand out in the crowd! 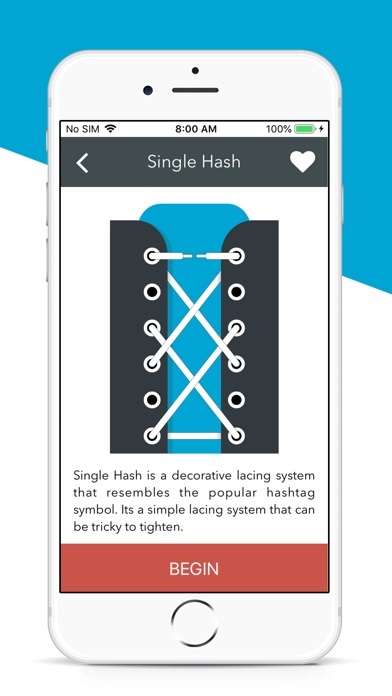 With this app, choose from 50 lacing systems ranging from practical to decorative. 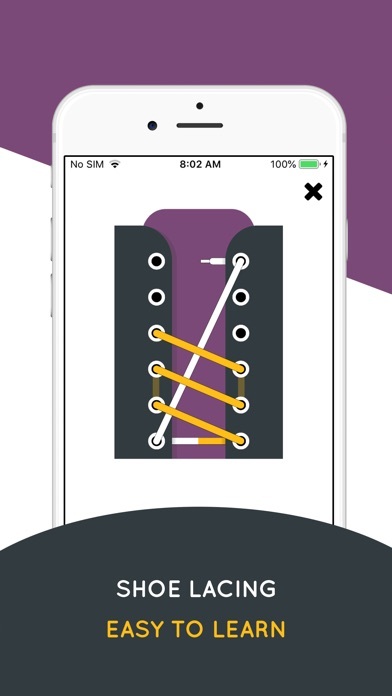 Follow simple step by step tutorials to visually guide you through the lacing process. Are all of your shoes still laced the same way? Would you like to tie your laces in a manner that give a stylish appearance? 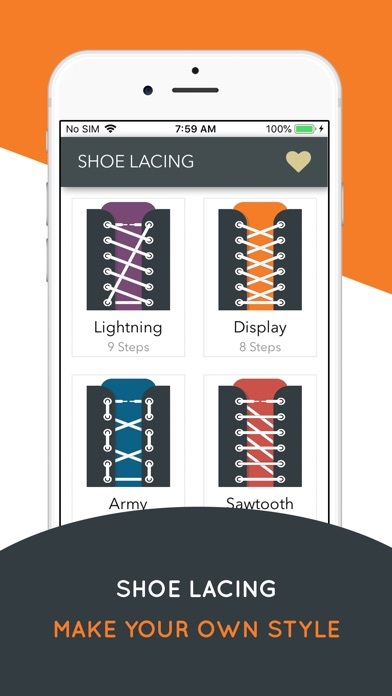 Turn your ordinary shoes lacing into the fashion and art with wonderful Shoes Lacing Guide application. Now your shoes will become an inalienable part of your image and will underline your unique style. This is the detail tutorial how to tie shoelaces. Here are many ways to tie shoes for boys and girls, men and women, kids and adults. Each lacing method contains a simple step by step scheme and a real photo of a tied shoe. Lacing for date, party, school, college, sport or everyday. Lacing for hiker, cyclist, dancer, military, hockey or football player and many other ideas. Tying your shoes, boots, sneakers, trainers, gym shoes or other special footwear with this lessons is now cool and interesting. You must to know that shoestrings is a real fashion accessory and now you can create authentic art shoes by yourself. Beautiful, stylish, bright, neat, reliable shoe laces for all of life’s occasions are now within an arm’s reach. 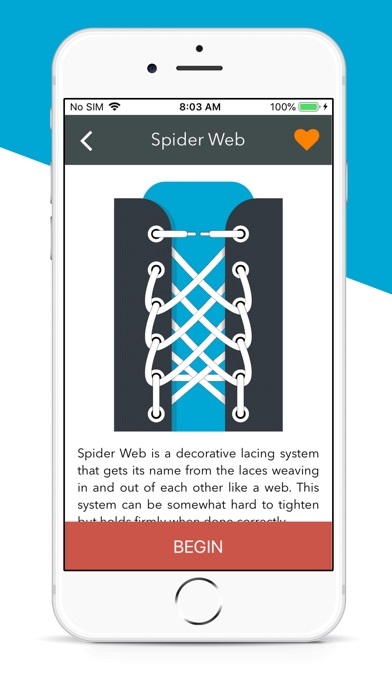 Features: - List of 50 interactive shoe lacing tutorials. - 9 sorting options to help traverse your list of laces. - Helpful icons that indicate when a lacing system has been viewed, liked or completed. - Information on each lacing system is provided. Have fun learning new ways to lace up your shoes! Please take the time to leave a review if you enjoy the app. Thanks! How To Draw Tattoo - Learn it!